While some car accidents routinely cause severe injuries, many minor incidents leave the victim with only what is called soft tissue injuries. These injuries can be difficult to see and diagnose, and are often met with suspicion by insurance adjusters. But victims are still left with real injuries and real pain, and negotiating a settlement is the only way to recover. What Does Soft Tissue Damage Mean? A soft tissue injury (STI) is when trauma or overuse occurs to muscles, tendons or ligaments. Many soft tissue injury happen as a result of sudden or unexpected movements, such as stepping awkwardly, playing sports, or being involved in a car accident. The rapid change in direction that is associated with a car accident causes a reaction in the body known as muscle splinting. The body reacts to violent motion by shutting down certain muscle groups, the nervous system goes into fight or flight, and the ligaments become more relaxed to handle the impact. So while not nearly as severe as broken bones or a brain injury, soft tissue damage can be painful, stressful and difficult to overcome. How Much is a Soft Tissue Injury Worth? When you hear the word “soft,” you may assume that the injury is minor, minimal or overblown. But a soft tissue injury is much more serious than a minor injury, and can lead to complications if not addressed. Other than your word, there is no hard proof that you have suffered a soft tissue injury. This is just the reality of the situation, but it’s not the end of the road. You are simply faced with a larger burden than others when it comes to proving your injuries and medical treatment. Lack of evidence. The most important piece of evidence in a car accident case is medical records. These records establish proof of your injury, outline the treatment you have received, and how much you have suffered due to the accident. These are important facts that go a long way toward determining the value of your case. With soft tissue injuries, the insurance company will attempt to discredit your injuries in a number of ways. They will say the injury isn’t serious, that you were injured in some other way, or that your pain is made up. History of fraud. In addition to a lack of evidence, soft tissue injury claims have a history of fraud. Many people have faked sprains, strains, whiplash and other soft tissue damage as a way to defraud the insurance company and make easy money. As a result, insurance companies have tightened the process and made it harder for both legitimate and fraudulent claims to be filed. The right lawyer can help you bolster your case by documenting your injuries, how the injuries have affected your life and what treatment is necessary to overcome the injuries. If your injuries are well-documented and the case is strong, the insurance company will have a difficult time denying your claim. What’s an Average Soft Tissue Injury Settlement? Soft tissue injuries are a broad category and the value of a case varies greatly. What one person receive in settlement money may be much different from what you receive, based on a long list of factors. Achieving the maximum settlement depends on the individual case, as what one person deserves varies from another. Medical bills. This includes all the medical treatment you have received, continue to receive, and will receive in the future as a result of your accident and soft tissue injuries. Emergency care, doctor’s visits, chiropractor visits, physical therapy, crutches, braces, bandages, etc., are all included in this section of your claim for damages. Lost wages/earning potential. Auto accidents that result in soft tissue injuries often force the victim to miss time from work. In some cases, the injuries do not allow the victim to return to full capacity. These missed wages can add up quickly, and should be a big piece of your settlement demand. Pain and suffering. This factor is heavily influenced by the amount of medical bills that a victim has. Generally, the more severe the injuries and pain, the greater the amount of pain and suffering that is applied to a claim. Emotional stress, PTSD and anxiety are very serious conditions that can happen as a result of a car accident, and should be taken seriously by the insurance company. Your claim for soft tissue injury damages will also be affected by how much you were at fault in the accident. If you were partially or mostly at fault for the collision, an adjuster will likely lower your settlement offer to reflect your responsibility for the accident. If the other driver was 100% at fault, you should not have to worry about your settlement being impacted because of your actions. $150,000. Our client received a settlement after she suffered a serious injury to her knee in a car accident. Her ability to perform physical activities was significantly impacted by the accident. $100,000. Settlement for our client who suffered a cervical strain in a T-bone auto collision with a drunk driver. $80,000. Jury verdict for our client, an elderly woman who was a passenger in a vehicle that was rear-ended. She suffered a herniated disc and whiplash. $35,000. Settlement for our client, a man who was rear-ended at a stop light and suffered serious whiplash. Consult with an experienced personal injury attorney to discuss the specifics of your soft tissue injury claim to get a better idea of what your injuries are worth. Your soft tissue injuries are unique, and the services of the right personal injury attorney can make the difference in receiving just a couple hundred dollars, and potentially thousands. There is no “settlement calculator” that exists that can accurately predict 100% of accident claims. There are simply too many variables. Most lawyers that handle soft tissue cases offer free consultations or case evaluations. There is no fee or upfront cost to speak with an attorney about the specifics of your case, your legal options, determine your claim value, your injuries, and the next steps in your recovery process. The insurance company is not your friend. Remember that although you may think the insurance company is trying to help, their No. 1 goal is to make money and pay you less for your claim. Tell the truth, always. There is no sense in lying, as the insurance company’s investigation will be thorough. Have your losses carefully calculated. Medical records, lost wages documentation, claim forms, etc., should be prepared and organized. Be prepared to address weaknesses. The insurance company will do everything in their power to poke holes in your case. Be ready to speak to any problematic areas of your case. Keep an eye on the statute of limitations. Any lawsuit arising from a car accident or injury must be filed within a certain time limit or the your legal claim will be barred and your right to sue will be lost forever. Injuries to the body’s “soft” areas are classified as soft tissue injuries. 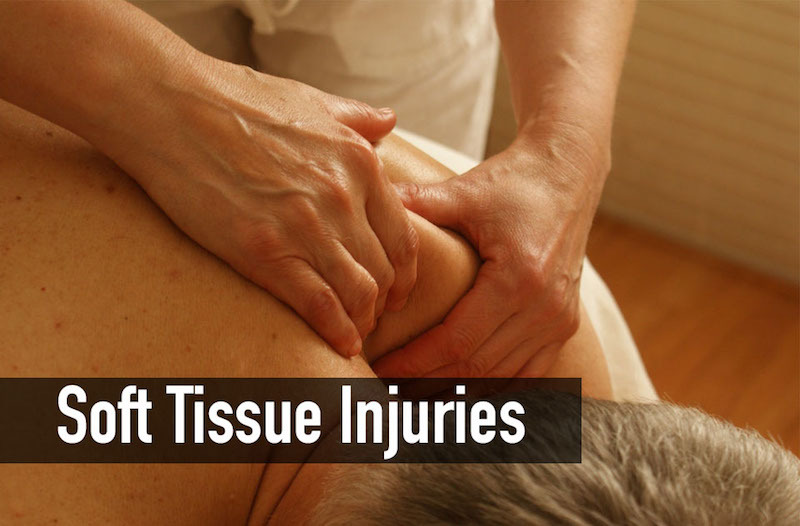 When a ligament, tendon or muscle is injured in a car accident, doctors, chiropractors, insurance adjusters and lawyers will likely refer to it as a soft tissue injury. Contusion. A bruise caused by a direct impact that crushes underlying muscle fibers and connective tissue. While this type of injury does not break the skin, blood pools beneath the skin and causes swelling. 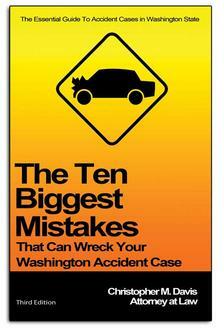 In car accidents, victims often suffer contusions by slamming into the steering wheel, console or seat belt. Sprain. A sprain is when a ligament is damaged due to the overextension of a joint. In an auto collision, sprains can occur when the impact jolts the victim and a joint is impacted. Strain. Ligaments are a band of connective tissue that connect one bone to another. A strain is when these ligaments are stretched or torn. Tendonitis. The inflammation of a tendon is called tendonitis. Bursitis. The inflammation of the bursa — a fluid-filled sac that provides cushion between bones, muscles or tendons — is known as bursitis. This is typically an overuse injury, but can be aggravated by a car accident. Whiplash. The main type of ligament strain associated with car wrecks is known as whiplash. When the collision causes the victim’s head and neck to move violently back and forth, the ligaments undergo stress and the result is acute pain. Victims may think they have whiplash, but in some cases might be suffering from spondylosis or spondylolisthesis, a degenerative condition in the spine. The most common symptoms that signal that soft tissue damage has occurred range depending on the injury. Victims may experience a stiff neck, neck or back pain, as well as memory loss and a lack of concentration. It’s important that you see a medical professional immediately after an accident to get a full diagnosis, as there might be underlying more serious injuries. In general, soft tissue injuries cause pain, discomfort, soreness, bruising, swelling and stiffness. It may be frustrating to hear that there is very little a doctor can do to relieve these symptoms, as they can greatly impact a victim’s quality of life. Depending on the severity of the crash, accident victims may feel these symptoms immediately after the collision, or the pain may not be felt for days or weeks after the incident. Every injury is different, and only a medical professional with the help of X-rays and other imaging can determine the full scope of your injuries and make sure something more serious isn’t present. Once you have seen a medical professional to determine the severity of your soft tissue injuries, they may direct you to use the R.I.C.E. treatment method. This simple plan can alleviate many symptoms of soft tissue damage. Rest. Take it easy following a car accident and do not attempt any difficult physical maneuvers, as it may only make things worse. Ice. Cold packs for 20 minutes a day, several times a day can go a long way toward reducing the pain. Place a washcloth or towel between the ice and the skin. Compression. To reduce swelling, compress the area with a tight bandage. Elevation. Elevate the injury higher than the heart to reduce swelling. If you are unable to put weight on the injury or there is an unusual amount of swelling, there be a more serious issue that isn’t obvious to the naked eye. In those circumstances, it’s best to receive a full examination at the hospital. A chiropractor can develop a treatment plan designed to target the injury and get you back feeling better. They will also teach you exercises to gain back flexibility, strength, balance and range of motion. How Long Does it Take for a Soft Tissue Injury to Heal? Recovery times are an inexact science, as factors such as age, health, and occupation influence how quickly you will be back to full health. Grade 1 (mild). The lowest form of soft tissue injury, a Grade 1 injury includes mild tenderness and minimal swelling. These injuries usually take 1-2 weeks to health. Grade 2 (moderate). The second degree of injury includes moderate pain, possible partial tears of fibers, and a potential problem putting weight on the injury. The recovery time is usually 3-4 weeks. Grade 3 (severe). An inability to use the injured structure and significant pain and swelling. Immediate medical treatment is needed. These soft tissue injuries are serious and take months to heal from. Accidents that leave victims with soft tissue damage are generally regarded as less severe than other accidents, but the effects of the injuries can be felt for a long time. Contusions (internal bruising) mean blood pools around an injury site. In some cases that can lead to permanent damage of soft tissues. And when bones and muscles are supported by soft tissue (tendons, ligaments) that is damaged, a person may suffer decreased functioning in their hands, arms and legs. Receiving prompt medical care after an accident can go a long way toward identifying potential long-term issues and treating those soft tissue injuries. A failure to receive treatment can cause soft tissue injuries to develop into permanent and more serious injuries. A herniated disc is considered a soft tissue injury. A herniated disc is a disc in the spine that ruptures due to trauma. This allows the jelly-like center of the disc to leak, irritating the nearby nerves. This can cause sciatica or back pain. Herniated discs are quite common in car accidents due to the sudden and severe impact of the collision. This unnatural movement can wreak havoc on a person’s back and neck, leaving them with complications and a potentially grueling road to recovery. To access the best resources available and get the most money for your soft tissue damage and determine whether a lawsuit is viable, seek the counsel of an experienced injury attorney. Davis Law Group attorney Chris Davis has over 25 years of experience representing victims of auto accidents in Washington state. He has helped recover millions for his clients, and has the knowledge and financial resources to properly investigation and win your case. For a free case evaluation at Davis Law Group, call (206) 727-4000, use the chat feature below or fill out the form on this page to get started.